Medical Malpractice: What Does it Mean and How Can it Be Proven? In Australia, everyone in the medical profession owes what the law refers to as a duty of care. The duty of care essentially states that if a person is providing medical treatment, then they have a legal obligation to not cause reasonably foreseeable harm to the person receiving the treatment. If such foreseeable harm is caused, then the person who provided the medical treatment may be liable due to negligence in medical malpractice. Errors arising through negligent undertaking of surgical procedures or surgery. In any of the above described scenarios (and any other examples that may exist), the healthcare worker is liable for his or her negligence. If injury or harm results from that negligence, then you are entitled to a sum of damages. This is a sum of money that the healthcare worker owes you to compensate you for any bodily injury and to cover he costs you incurred as a result of their medical negligence. It is important to note that the harm has to be caused by the negligence. If you undertake a surgical procedure and, during recovery, you fall and damage your scar tissue, it is the fall that caused the harm and not any medical negligence on the part of the surgeon. However, if after surgery you are engaging in an ordinary daily routine and find that your scar tissue opens and becomes infected causing you further harm, then this may be seen as negligence if the surgeon had failed to appropriately and professionally seal the wound after surgery. The negligent doctor would be asked to compensate you for your injury and provide damages to cover any costs you incur as a result of the infected wound. People in these professions are trusted with the health of others because they possess the trained expertise to care for them. Patients rely on people in these professions to be able to carry out their work professionally, and to a reasonable standard that doesn’t cause injury. The failure to meet that standard, and injuries sustained as a result, is the reason why medical negligence is covered in law. If injury or harm is caused, it is not automatically assumed that the healthcare professional was negligent and therefore liable for medical negligence. Instead, the prognosis, diagnosis, treatment, or procedure will be considered by other medical experts to see if it is consistent with accepted medical practice. If it is, then the professional is most likely to be found to have acted within their duty of care. It is only when the diagnosis, treatment, or procedure was below standards that apply to that healthcare worker that they may be seen to have breached a duty of care. As a result of medical negligence, patients may suffer physical or mental harm. If that harm is permanent and at a significant level, then the patient would be entitled to compensation for pain and suffering for life. In addition, the patient will incur many different debts and payments for the injury or harm sustained. There may be loss of income, permanent treatment required, or permanent deprivation of the ability to earn income. These matters are all considered in a medical negligence claim. You can seek compensation for loss of income while recovering, for loss of future earnings as a result of the condition, in addition to the compensation for pain and suffering due to the harm or injury. These costs are not arbitrarily sought, but need to be calculated to specific amounts. Doctors and other healthcare workers usually have professional indemnity insurance to cover this very area of law. Because of this, it’s highly likely that you will be up against the healthcare worker’s insurer if you’re considering a medical negligence matter. To be confident you are also empowered with legal expertise, it is recommend in this circumstance that you consult with a lawyer about your scenario and seek a professional legal opinion. If you or someone you know has suffered harm or injury as a result of medical malpractice, it is important to focus on the recovery, but also to know that you should not have to be out-of-pocket because of their negligence. Being compensated for the loss you suffered or for lost income will provide significant relief to what is an otherwise stressful scenario. 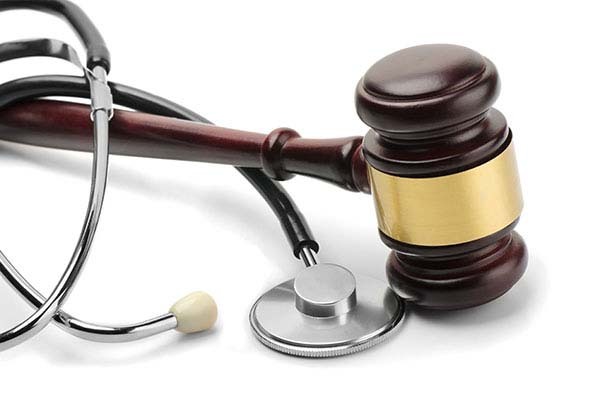 Get in touch with Henry Carus + Associates today and see how we can help you recover from medical malpractice.